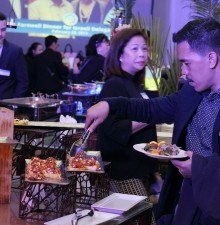 Once again, the Israel Chamber of Commerce of the Philippines (ICCP) gathered members of the Israeli and Filipino business communities for Flavors of Israel: Networking Night and Induction 2018. 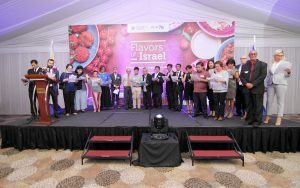 The annual event, which brings people from Israel and the Philippines closer mainly for business purposes, was held at Dusit Thani Hotel in Makati. 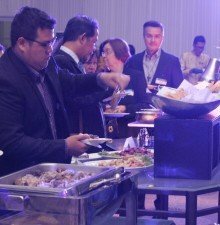 With cultural music and the spiced aroma of traditional Jewish and Mediterranean dishes setting the mood, more than 200 members and friends from the Israeli and Philippine business communities exchanged toasts and pleasantries. 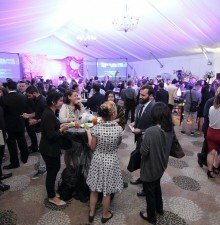 Guests mingled with each other to form partnerships and strengthen networks. Former senator Sergio Osmena III shares a conversation with His Excellency. 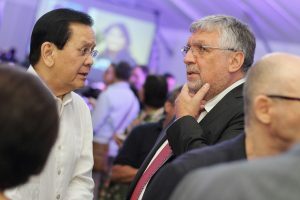 Guests included people from sister chambers and the Philippine government, such as Senators Cynthia Villar and Sherwin Gatchalian, former Senator Sergio Osmeña III, Department of Information and Communications Technology Secretary Eliseo Rio, Department of National Defense Assistant Secretary Teodoro Toralba, and TESDA Deputy Director Rebecca Calzado. H.E. Ambassador Effie Ben Matityau speaks of his retirement plans and his dreams for Israel and the Philippines. Israel Ambassador to the Philippines, Effie Ben Matityau, delivered the Welcome Remarks, talking about the expanding tourism industry in Israel and the beauty of the country. 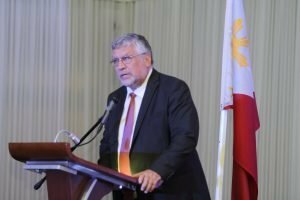 He stated that the Philippines and Israel are natural partners and complement each other in many common areas of interest – such as tourism. He also announced that he will soon be retiring from the embassy after a long period of zealous service. The Israel Ministry of Tourism Director Hassan Madah showed a video of Israel and its natural and cultural gems, saying he prefers that the guests see these beautiful attractions themselves instead of just hearing about them. 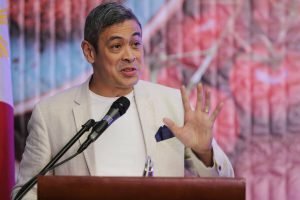 Anthony Pangilinan reminisces about his good times in Israel. Motivational Speaker and Management Trainer Anthony Pangilinan talked about his marathon in Israel, and ICCP President Itamar Gero invited all the attendees to enjoy the night and expand their network. Guests were also treated to two dance performances by the Abel-Meholah Dance Group. The members and the board take their oaths. Seven directors from the previous Board of Directors remained, and two members were newly elected to join them this year. The 2018-2019 ICCP Board consists of Itamar Gero, President; Haim Katzav, VP for Internal Affairs; Sagiv Massad, VP for External Affairs; Nancy Catan, Treasurer; and Directors David Elefant, Yoray Ofek Levin, Yuval Mann, Arsenio Barcelona, and Natalie Bueno Maharaban. 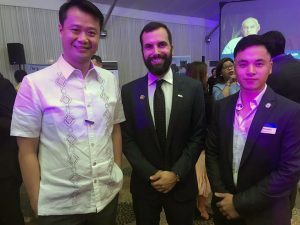 After the induction, former Board member Anton Mauricio and Cathay Pacific Country Manager Rob Bradshaw awarded two lucky guests – a Filipino and an Israeli – with free roundtrip tickets to Tel Aviv. Rob Bradshaw of Cathay Pacific distributes the raffled tickets. 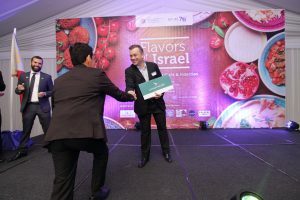 Flavors of Israel: ICCP Networking Night and Induction 2018 was sponsored by ICCP, Dayanan Business Consultancy, STAR-K Kosher Certification, ECI Telecom, Israel Ministry of Tourism, Cathay Pacific, Jewish Association of the Philippines, Beni’s Falafel, CHAPLIN Israeli Café, Falafel Yo!, and San Miguel Brewery Incorporated. To find out more about ICCP membership or to sign up, visit our membership page.